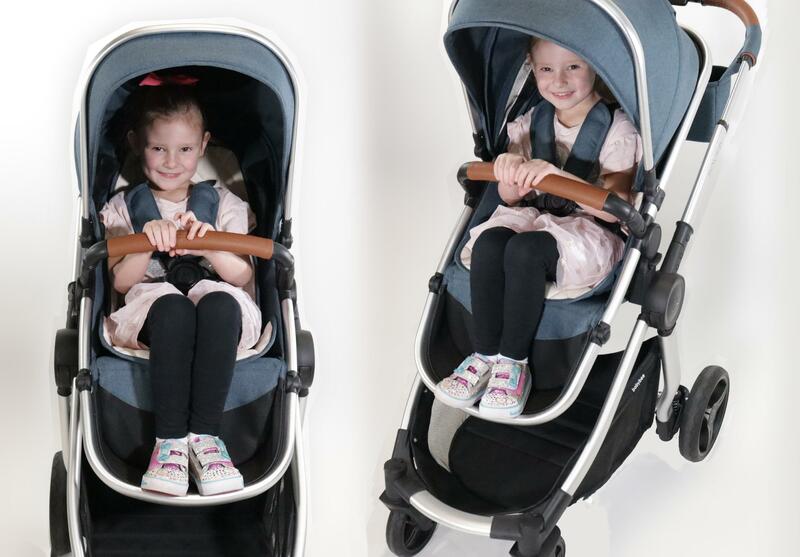 The current Babybee range is suitable for use from birth (with the bassinet or cocoon) up to around 3-4 years in the seat, depending on how tall your child grows. 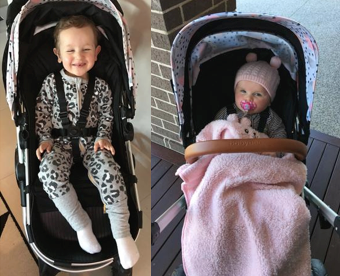 In order to balance stroller size, weight and usability, the seats are designed to fit the average Australian 3-year-old, up to 20kg in weight and comply with all Australian Safety Standards. 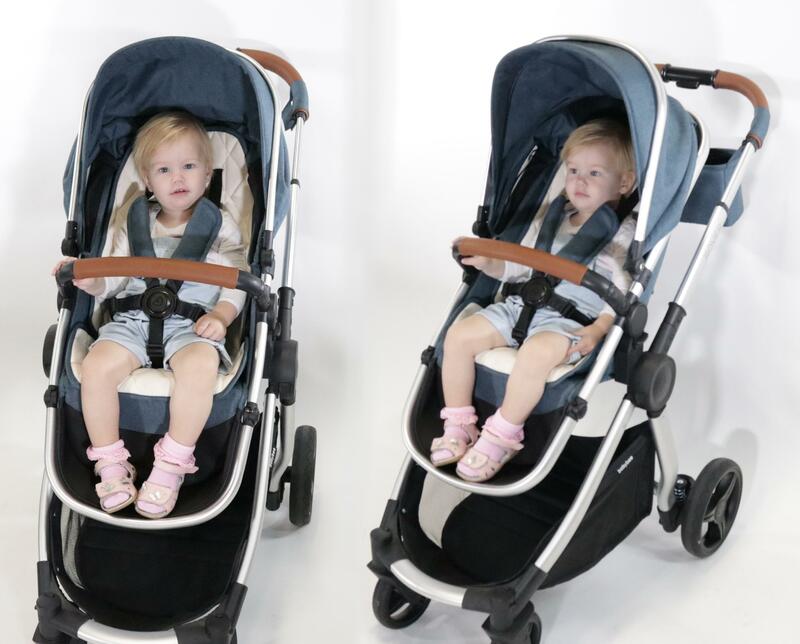 When it comes to stroller seat sizes, fixed seat strollers (like our LUNA) and joggers often have the largest seats, however, don’t have the functionality or flexibility of being able to face in both directions. 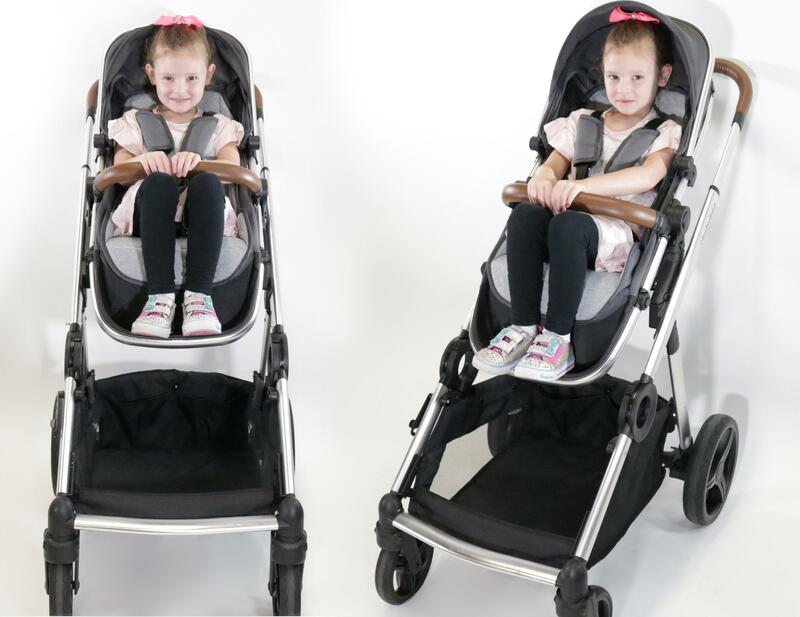 3 in 1 models (the ones that accommodate a capsule, bassinet and seat on the frame, all capable of facing either direction) typically have a slightly more compact seat, due to their design and in order to balance overall size and weight. Babies and toddlers grow at very inconsistent rates, with their torsos growing faster to begin with and then slowing as their legs grow at an amazing rate! For those that see their 10-month old nearing the top of the seat, it’s extremely likely that they will stay at that point on the seat for quite a while. On average, babies grow approximately 25cm from 0-12months, 13cm from 1-2 years, 9cm a year from 2-3 years and 5cm a year from 3 years to puberty. 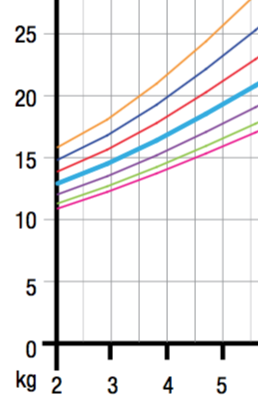 At 3 years of age, even the heaviest of boys (yellow line is top percentile, light blue is average) only weighs 17kg. With the average 3-year-old girl being 13kg and highest percentile only 15kg. Getting too tall? You can move the canopy connectors higher up the frame to give them a little more room under the canopy. Note: fixed seat strollers like the LUNA typically have larger seats than reversible seat options. 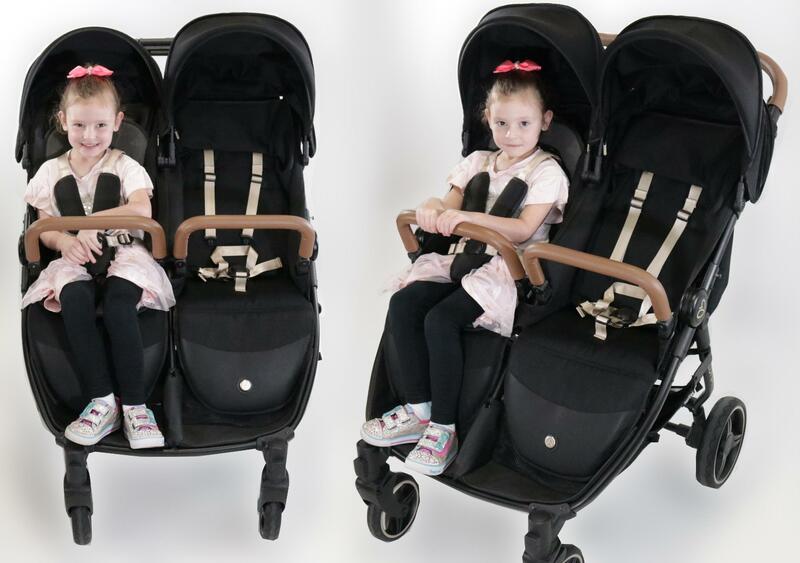 Whilst the backboard height (49cm) may not appear to be extra tall, you have 65cm of space when seated and when reclined you'll find your little one's body moves forward slightly giving them extra room when laying down. 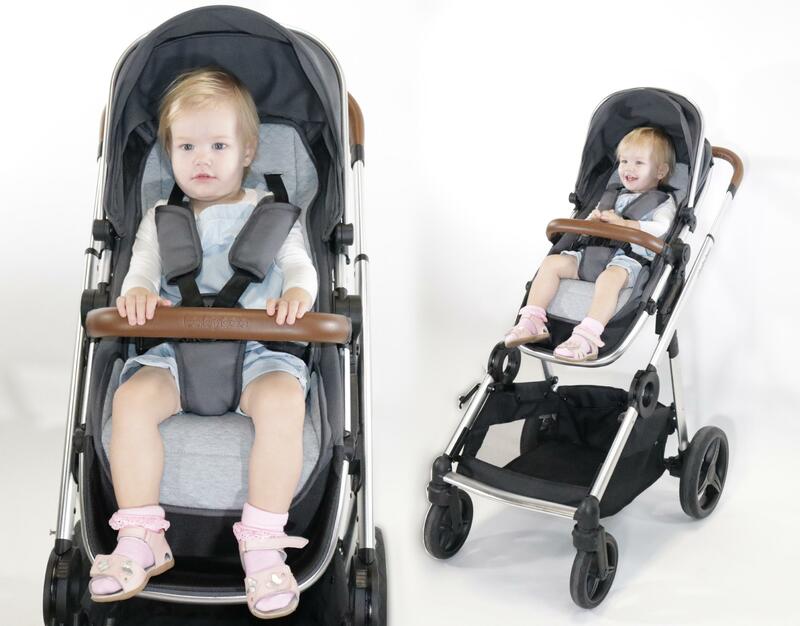 Of all of our stroller options the LUNA has the largest seat as you can see from our 4.5 year old bellow! Still got questions? Email us at hello@babybeeprams.com.au we're here to help!